Are you ready to win $50? This is a one day giveaway for Friday only! I'm very excited to be taking part this week and I hope that you'll enjoy the chance to win $50 for your Holiday! Everyone loves cash, right? 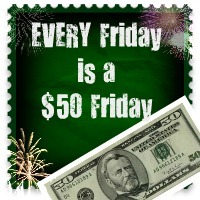 How would you like a chance to win $50 EVERY FRIDAY? Well, I am very excited that I have joined with an amazing group of bloggers to offer you a WEEKLY cash giveaway! Cool, yes? Well, there is only one catch, the giveaway begins THIS FRIDAY (December 2nd) and is ONLY opened from 12:01 am and will close at 12:01am on Saturday, so it is only OPENED ONE DAY! This week you have the opportunity to enter in TWO groups of $50 Friday's, Group A and Group B - so you have an even better chance of winning! 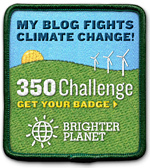 This week's $50 Friday will be for BLOG Follows, so feel free to "follow" any and all of the following BLOGS now, via GFC, Google +, RSS, and/or email, so that you are all set - Please especially be sure to follow me by email Why We Love Green and visit Blog by Donna and follow via Google+!